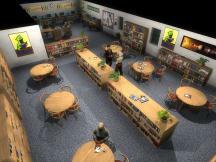 For almost one week you could vote for the Most Promising Indie RPG of 2012 and we now present you the results of your votes and the votes of the RPGWatch editors. For this award our editors have selected 3 games to be equaly promising. Dead State is once again in the most anticipated list. It was here last year as well and hopefully it will be out sometime this year, but the devs are tight-lipped about the release date so it's up to us to hope that we will see it sometime in the near future. The game is a RPG zompocalaypse. It takes the frequently used zombie theme in a new direction that has not really been done up to this point. While there are a lot of zombie games out there, there are hardly any zombie RPGs with turn-based combat, skills, party members, a shelter to protect and expand upon and most importantly an evolving storyline where your actions influence the game. Let's hope this is the last time that Dead State makes it into the most anticipated indie RPG and onto the indie Goty for 2012. 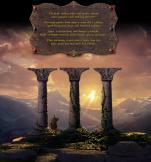 The Eschalon series from Basilisk Games are isometeric turn-based RPGs. In the series you have a huge world to explore, many monsters to face, tons of NPCs and quests and a robust skill set and magic system. There is not that much information on the third book of the series, but it can't come soon enough for a lot of old-school rpg fans out there. Jay Barnson's sequel to Frayed Knights continues the adventures of the hapless heroes. You'll be able to import your characters from the first game or start fresh with level 10 heroes. The heroes will be the same as in the orginal game with you in control of Arianna, Ben, Dirk and Chloe. 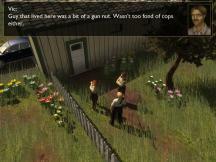 In the sequel you'll get a chance to play some different NPCs on a temporary basis. The story will pick right up where we left the hapless heroes and continue on from there with the team being in the wrong place at the wrong time. I don't want to go into to many details for those of you who haven't played the first one, but this one promises more of what was great about Frayed Knights. This is another year in which The Age of Decadence could be released. Like last year and the year before there is plenty of hope it will. The Age of Decadence is a 3D isometric turn based game with quite some promises for a rich RPG experience with different solutions to quests, deep factions, action point based combat, crafting and alchemy and combat that is thrilling and requires tactics in order to survive. Let's again hope it will live up to its expectations and that it will be released in 2012. One of the games the editors have selected as the most promising was selected by our visitors as the runner up. 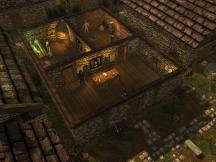 Legend of Grimrock brings us a dungeon crawler that is scheduled to be released in the near future on PC, Mac and iOS. It promises to bring us back to those days when dungeon crawlers were common and takes its inspiration from many classic games such as Dungeon Master and Eye of the Beholder, with the difference that it looks better. To find out more check out the video that was made of a beta session, which gives an impression of what the developers have in store for us. The following tables shows the results of the voting. All other games scored a percentage of less than 5 %.